Disclaimer: I received these items in exchange for review. All opinions are my own. Please visit my disclaimer page for more information. Man oh man, I’m on a pregnancy blogging roll! I hope you guys are getting some good information out of all of these posts, I’m having such fun trying everything! I’ve been having a rough go of it, physically speaking, this pregnancy, so any fun tips, tricks, and products that can possibly help, I’m all about it! 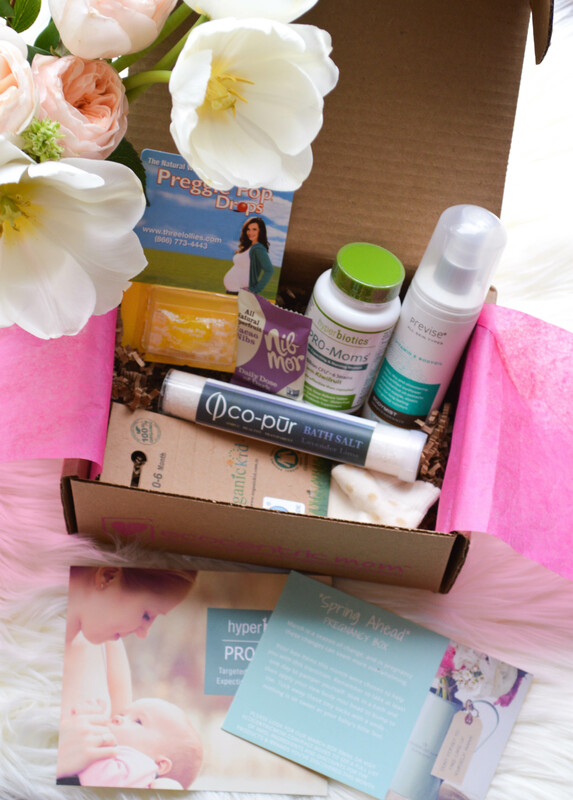 Today I’m talking about the pregnancy box from Ecocentric Mom. I’ve worked with Ecocentric Mom before (check it out here) to review their Mom and Baby box about a year ago when Sawyer was 9 months old. We loved it! 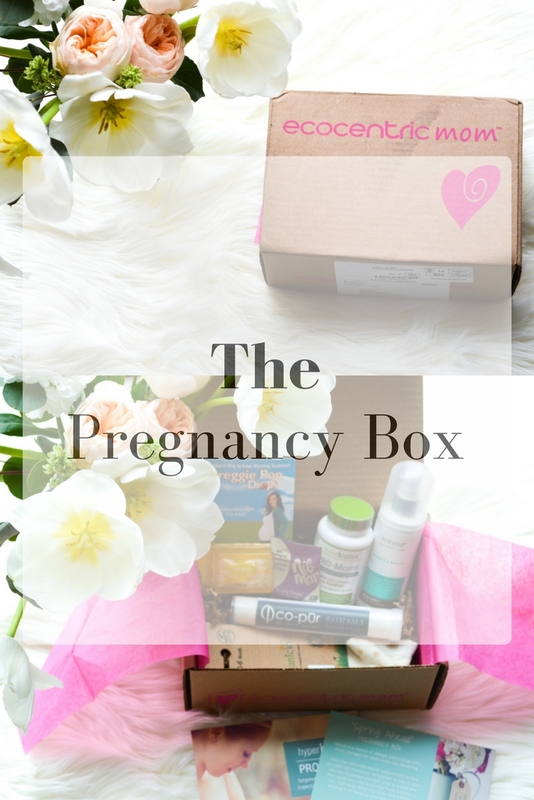 It was when I was just starting to rid my house of chemicals and the box had a lot of helpful tools as well as some fun things for Sawyer and I.
this time around, I tried the pregnancy box! It had some really helpful things to curb sickness and help me relax during pregnancy. Right now I’m all about relaxing whenever I can. 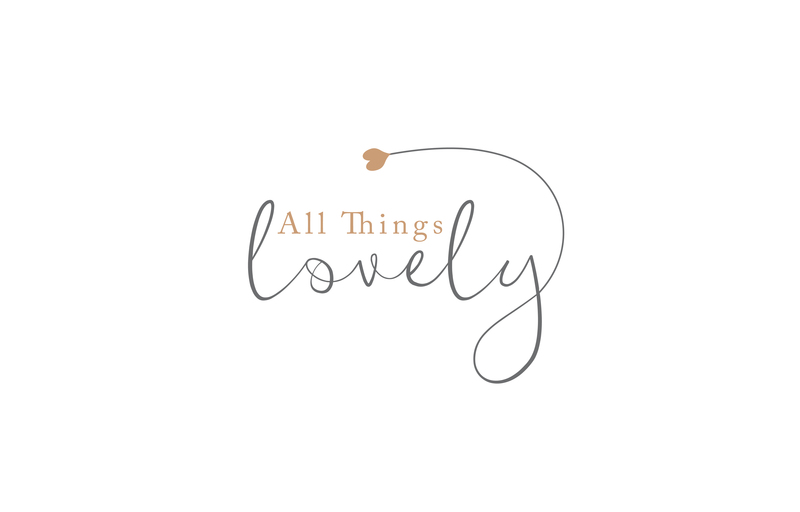 I have so much going on with work, the blog, Sawyer, my marriage, and some big life changes on the horizon, that I can easily get stressed out. The bodymist and bath salts have been great for promoting relaxation and self care. Something I definitely need right now! I’m keeping the preggie pop in my purse for when nausea strikes (which luckily, it hasn’t in a while), so I haven’t tried it just yet. 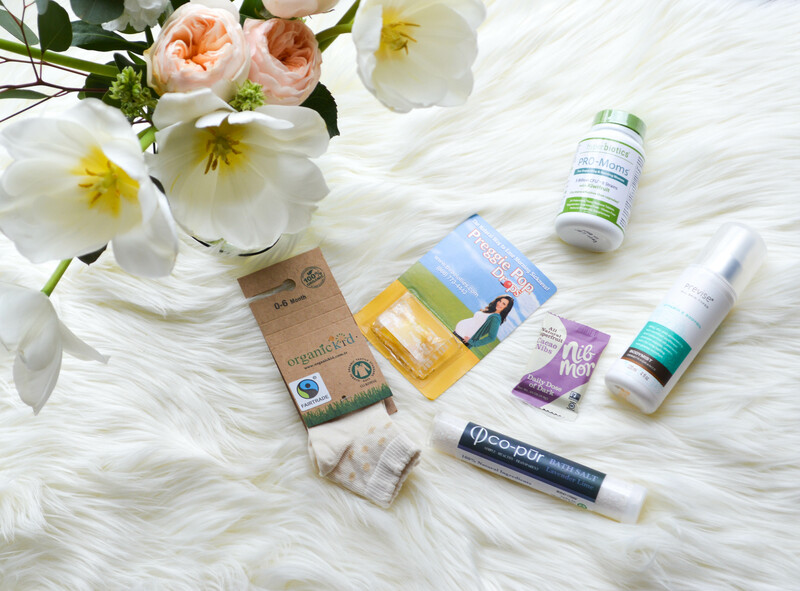 I’ve been really into probiotics lately to help with some stomach issues (read more about that here and here), so I’m loving that I got some pregnancy-safe ones in this box! The Cacao Nibs were delicious, and I teared up when I saw the baby socks. We haven’t bought anything for the new baby yet (since it’s another boy, we have pretty much everything we need), so this is his first “belonging” and that made me a tad emotional. 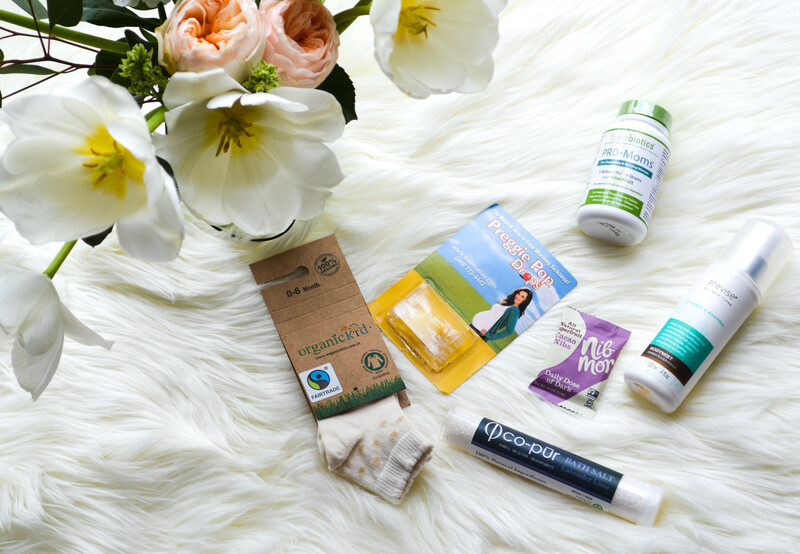 Ecocentric Mom box is all about providing you with products that are toxin and chemical free, good for you, and good for the environment. You can rest assured knowing these products are safe for you and your family. And it’s such a nice treat to get your box every month! 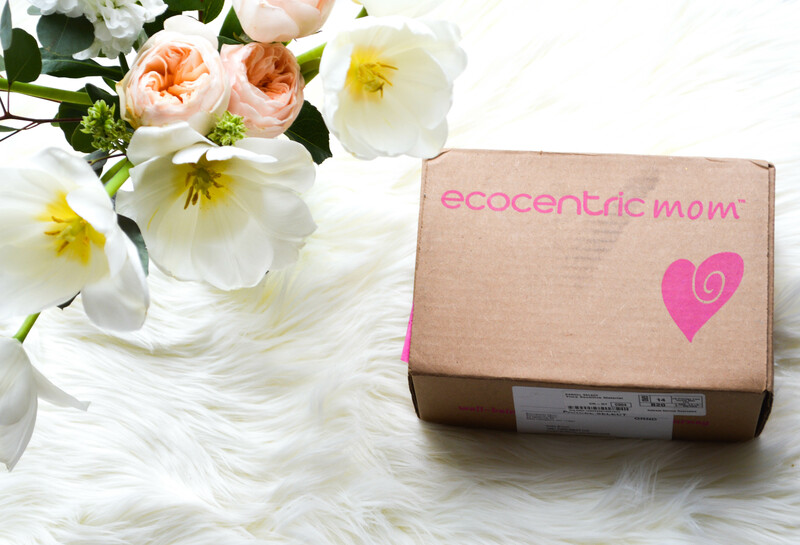 Ecocentric Mom offers 3 subscription options. The Pregnancy box, the Mom and Baby box, and the Mom box. You can switch around the type of box you want too! So if one month you want the Mom and Baby box, but the next month you want a box just for you (the Mom box), you can switch them around and get exactly what you want. This is really cool, I never heard of their box before, thanks for sharing!